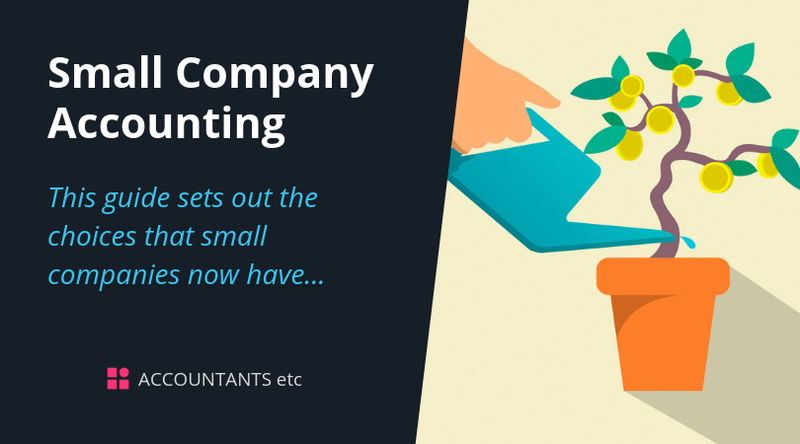 The required format of statutory accounts that small companies have to prepare and send to Companies House has changed. This guide sets out the choices that small companies now have. The nature of the company’s activities, the types of assets which it has and whether external scrutiny is required / desired will need to be considered. A company needs to meet two out of three of the above criteria for two consecutive years to qualify as a small or micro company, unless it is the first year of the company’s existence, in which case only that year has to be considered. The turnover limit is adjusted if the financial year is longer or shorter than twelve months. The previous option of filing abbreviated accounts has been withdrawn, however, small companies continue to have the option of not filing their profit and loss account and/or directors’ report at Companies House. The accounts of a micro-entity are considerably shorter and simpler than those otherwise required for a small company. Micro-companies are no longer required to prepare a Directors’ report. We will be very pleased to discuss the impact on your small company of which accounting standard is to be used. If you would like to discuss these issues in more detail, please contact us.